MASHUP: Bruce Lee with #MORTALKOMBAT arcade sounds!! Would anda like to learn Jeet Kune Do? pilihan fans: Be water, my friend. which legendary bruce lee fight is your favorite? if i forgot to mention one, please feel free to add it ;). which weapon u prefered bruce lee use? which bruce lee kick is your favorite? "With any luck, i hope to make Multi level films here - the kind of film where anda can just watch the surface story if anda like atau anda can look deeper into it. Most of the Chinese films to tanggal have been very superficial and one dimensional". Bruce Lee's original concept for The Game of Death, was to attempt to educate the movie audience. Creating awarness of different types of Martial Art and the advantages each of these may have in certain environments and situations. When he wrote the following mission statement — which, for argument's sake, I'm classing as a letter written to himself — Bruce Lee was 28 years of age and a minor TV bintang in the United States, having featured in a number of shows which included, most notably, the ill-fated Green pikat, lebah series. With hise detik child recently born and no financial security to speak of, the clearly determined founder of Jeet Kune Do decided to put his "definite chief aim" down on paper. Bruce's striking speed from 3 feet away was five hundredths of a second. Bruce could throw grains of nasi, beras up into the air and then catch them in mid-flight using chopsticks. Bruce did press ups using only 2 fingers. Bruce was able to explode 100lb bags with a simple sidekick. Kung Fu Movie Madness Jackie Chan's fan page. Talking about the life and career of Jackie Chan. Kung Fu movie madness is a Classic Kung Fu Movie review site which sells film like Bruce Lee, Jackie Chan, Jet Li , and Shaw Brothers Movies. Bruce Lee wear a glass Logo t shirt,wow,it looks very cool.i like the t kemeja very much. 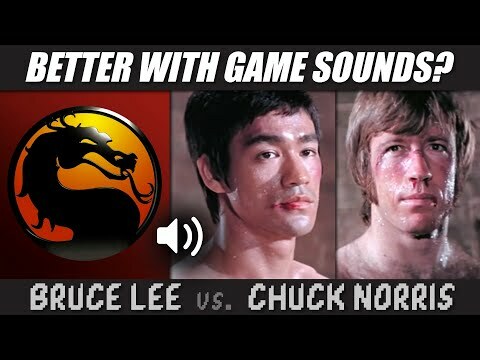 a video telah ditambahkan: MASHUP: Bruce Lee with #MORTALKOMBAT arcade sounds!! What is the name of Bruce Lee's daughter? Anyone see the trailer for the movie about Bruce Lee's teacher? "The Warrior Within" - A Tribute to Bruce Lee! far faster than bruce lee the 1 & only master of disaster!!! and even far alat pendingin, pendingin from out of the NORM!!!! !